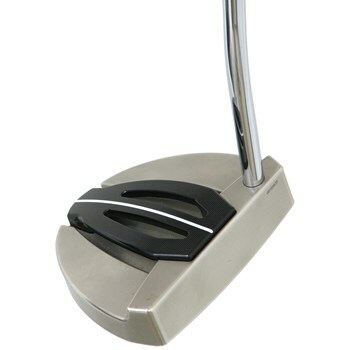 • Tungsten weighting in the sole makes this a very high MOI putter. 355 gram head weight. • Black alignment bar and white sight line for easy alignment. • Milled aluminum club head has a nano-nickel coating for a clean look that is also very durable. • Available in three different shaft bends to fit three different putting strokes.